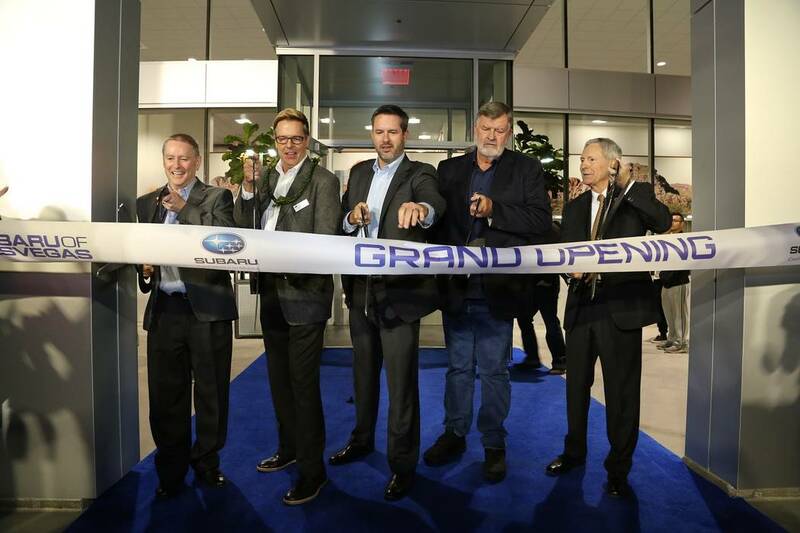 Findlay Automotive Group held a grand opening for its new Subaru of Las Vegas store. Nov. 29. Findlay Automotive Group added the Subaru brand when the dealership was on Fremont Street in 1971. Ethel M Chocolates, a subsidiary of Mars, Incorporated, has announced it will be the official chocolate of the NHL’s Vegas Golden Knights. 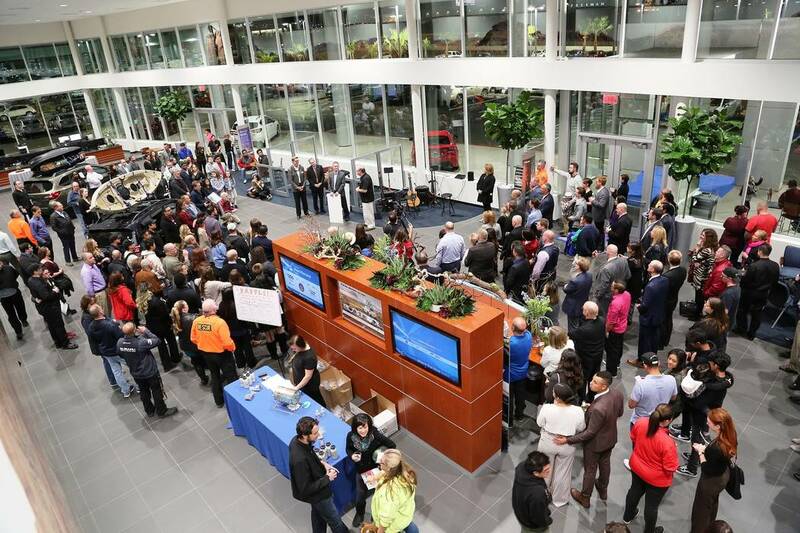 Now housed at its new location at 6455 Roy Horn Way in the southwest part of town, near Rainbow Boulevard and the I-215 Beltway, Subaru of Las Vegas consists of 65,000 square feet on eight acres just east of Findlay Chevrolet. The new dealership features a “The Living Wall,” which has dozens of very green, artistically arranged plants mounted on two walls that are bathed in grow lights. The living wall underscores Subaru’s commitment to the environment. Tom Doll, the president and chief operating officer of Subaru of America, attended the show. He flew to Las Vegas after attending the L.A. Auto Show where Subaru unveiled its all new Ascent, Subaru’s first sport utility vehicle with third-row seating. The Ascent will go on sale in the summer of 2018. Findlay Automotive Group CFO Tyler Corder, said the new Subaru of Las Vegas store has taken the dealership to a new level. Drybar is excited to announce the Dec. 29 grand opening of Drybar Las Vegas at The Cosmopolitan of Las Vegas. The 2,231-square-foot location will join the resort’s retail district and consist of 14 styling chairs in addition to a full-service bar. 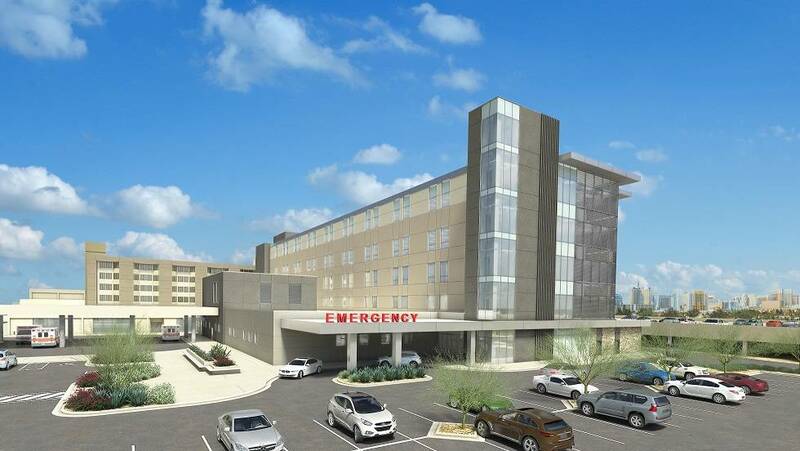 With a $130 million multiphase campus expansion, Sunrise Hospital and Medical Center and Sunrise Children’s Hospital have broken ground on a 24-month construction project. Sunrise Hospital’s 253,000-square foot-expansion and renovation adds 72 beds in a new five-story tower on its 30-acre campus. In addition, the project doubles the portion of Sunrise Hospital’s trauma bays dedicated to treating the sickest patients; expands Sunrise Children’s Hospital emergency room from 2 to 30 beds; and creates a dedicated pediatric cardiovascular 14-bed unit. It also builds upon the facility’s imaging, laboratory and pharmacy space to meet additional ancillary services in the largest acute care hospital in Nevada. Internal renovation is already underway to refresh Sunrise Children’s Hospital’s Women’s Services space, particularly the Birth Center, and add aesthetic improvements to two Sunrise Hospital Medical-Surgical floors. In addition, Sunrise Children’s Hospital will soon add a retail food bar to the lobby area. In 2005, Sunrise Children’s Hospital completed a $75 million renovation and expansion effort, which is the last time the facility added to its capacity. Currently, the two hospitals have 690 beds. When the project is complete, the capacity will grow to 762 beds. The tower portion of the project also leaves two floors of undefined space for future growth options. Five Southern Nevada pulmonary care physicians and health care providers have joined together as OptumCare Lung and Allergy Care. OptumCare Lung and Allergy Care offers comprehensive diagnosis, treatment and education services for a full range of pulmonary diseases and a wide variety of allergic conditions. Robert Lampert, M.D., takes the helm as medical director. He has worked for 20 years in pulmonary medicine. He attended medical school at the University of the Witwatersrand in Johannesburg, South Africa and completed his residency at Michael Reese Hospital & Medical Center and at Mount Sinai Hospital in Chicago. Lampert continued his postgraduate training as a clinical fellow in pulmonary and critical care medicine, as well as a research fellow in pulmonary and critical care medicine at Baylor College of Medicine in Houston. Jim Christensen, M.D., is a well-known local physician and a renowned allergist-immunologist, practicing medicine in Las Vegas for 27 years. He attended medical school at the University of Nevada School of Medicine in Reno. He completed his residency at the Washington University in St. Louis, Missouri, and his fellowship at the National Jewish Center for Immunology and Respiratory Medicine in Denver. Christensen has worked in numerous positions in medical education, including as a clinical associate professor at the University of Nevada School of Medicine in Reno and the University of Nevada, Las Vegas. He is also an adjunct professor at Touro University Nevada. Suresh Tawney, M.D., has worked for 35 years in pulmonary medicine, including numerous positions in medical education, including assistant professor in medicine at Mt. Sinai School of Medicine and clinical associate professor at the University of Nevada School of Medicine. Dr. Tawney attended medical school at University of Delhi in New Delhi, India. He completed his residency as well as a fellowship at Mt. Sinai Hospital Center in Elmhurst, New York. Board-certified in internal medicine and pulmonary medicine, Tawney previously worked as a hospitalist for Southwest Medical Associates. Daniel Hering, APRN, is a pulmonary nurse practitioner accredited through the American Nurses Credentialing Center. He completed his medical training at the University of Nevada, Las Vegas. He has also been a preceptor nurse practitioner for students through the College of Southern Nevada, where he enjoyed teaching and inspiring the next generation of medical professionals. Hering’s professional memberships include the American College of Chest Physicians, the American Academy of Nurse Practitioners, the Nevada Advanced Practice Nurses Association, and the Sigma Theta Tau International Honor Society of Nursing. Patricia Roberts, APRN, is a nurse practitioner specialist accredited through the National Association of Pediatric Nurse Practitioners. She completed her medical training at the California State University, Long Beach, where she was also a preceptor nurse practitioner for students. Roberts has worked in several positions in medical education, including as an associate clinical instructor at the California State University, Long Beach and as a guest lecturer at the University of Nevada, Las Vegas. Roberts’ professional memberships include the Nevada Nurses Association, the National Association of Pediatric Nurse Practitioners, and the Sigma Theta Tau International Honor Society of Nursing. The practice serves the Las Vegas community with locations at 4750 W. Oakey Blvd., Ste. 1A and 2610 W. Horizon Ridge Parkway, Ste. 105, as well as with a chronic obstruction pulmonary disease clinic at the Oakey location. MGM Resorts International announced that its WNBA franchise will be called the Las Vegas Aces. Las Vegas’ first major professional basketball team — formerly the San Antonio Stars — will begin play in its new home in the 2018 season. Las Vegas Aces President of basketball operations and head coach Bill Laimbeer was joined by MGM Resorts President Bill Hornbuckle and WNBA President Lisa Borders to reveal the team’s name and logo at a news conference at Mandalay Bay. Las Vegas-based entertainment and hospitality leader MGM Resorts received unanimous approval from the WNBA and NBA Board of Governors in October in connection with its purchase and relocation of the team from San Antonio to Las Vegas. In its inaugural season in Las Vegas, the Aces are expected to play 17 home games at the Mandalay Bay Events Center. The Aces will become the second major professional sports team in Las Vegas, following the NHL’s Vegas Golden Knights, which play at T-Mobile Arena. The NFL’s Oakland Raiders are expected to relocate to Las Vegas by the 2020 season. Las Vegas’ new WNBA franchise was originally established for the league’s inaugural season in Salt Lake City before moving to San Antonio prior to the 2003 season. 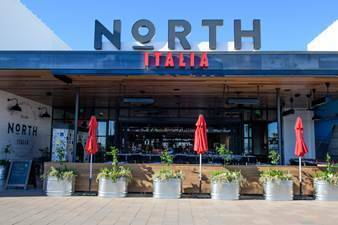 Acclaimed chef, author, and restaurateur Scott Conant will bring his celebrity flare and award-winning reputation to the Station Casinos family in February, when he debuts his Masso Osteria Italian eatery inside Red Rock Resort. The four diamond AAA-rated destination resort — itself a multiple “Best of Las Vegas” award winner — will become Conant’s exclusive home in Southern Nevada, offering local foodies and out-of-towners an opportunity to enjoy culinary excellence rarely experienced off the Strip. Conant, who for years has served as a supportive voice in the Las Vegas community, as well as a dominant player in its culinary scene, chose the name “Masso” — Italian for “boulder” — to reflect the rocky desert landscape that surrounds his adopted city. 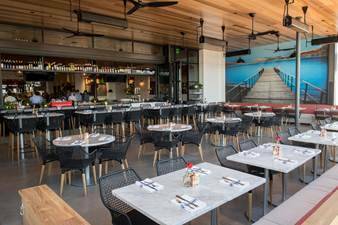 Masso Osteria will add to Conant’s growing restaurant empire, which includes New York’s Fusco, The Ponte Ristorante in Los Angeles, and Mora Italian in Phoenix. Shake Shack will open an eater at the Las Vegas North Premium Outlets, the open-air village-styled shopping destination, on Dec. 20 at 11 a.m. The Las Vegas North Premium Outlets Shack will be at at 905 South Grand Central Parkway. Shake Shack is known for its modern day “roadside” burger stand with its 100 percent all-natural, antibiotic-free Angus beef burgers, hormone-free chicken, griddled flat-top dogs, fresh-made frozen custard, crispy crinkle cut fries, beer and wine. In addition to the Shack classics, the Las Vegas North Premium Outlets Shack will be spinning up a selection of frozen custard concretes: Shack Attack (chocolate custard, fudge sauce, chocolate truffle cookie dough, Mast Brothers Shake Shack dark chocolate chunks, topped with chocolate sprinkles), Coffee Toffee (vanilla custard, coffee marshmallow sauce, chocolate toffee and chocolate sprinkles) and Pie Oh My (vanilla custard and slice of Four & Twenty Blackbirds seasonal pie). As part of Shake Shack’s mission to Stand For Something Good, the Las Vegas North Premium Outlets Shack will donate 5 percent of sales from its Pie Oh My concrete to Three Square, Southern Nevada’s only food bank, aimed at providing food assistance to local residents through food banking, food rescue and ready-to-eat meals. In keeping with Shake Shack’s commitment to green architecture and eco-friendly construction, the Las Vegas North Premium Outlets Shack will be constructed with recycled and sustainable materials. Booths will be made from lumber certified by the Forest Stewardship Council, and table tops will be made from reclaimed bowling alley lanes. Since the original Shack opened in 2004 in NYC’s Madison Square Park, the company has expanded to more than 90 locations in 19 U.S. States and the District of Columbia, and more than 50 international locations including London, Istanbul, Dubai, Tokyo, Moscow and Seoul. Las Vegas-based Nacho Daddy has inked a pre-season partnership deal with Vegas Golden Knights to host viewing parties and events and develop the official team nacho, with a portion of its proceeds going to the Vegas Golden Knights Foundation. The official Vegas Golden Knights nacho is Nacho Daddy’s take on a cheese-steak nacho with marinated filet mignon, provolone, yellow queso, sautéed onions, mushrooms, red and green bell peppers and pickled peppers served over house-made corn chips. The official Vegas Golden Knights Nacho is available at all locations. 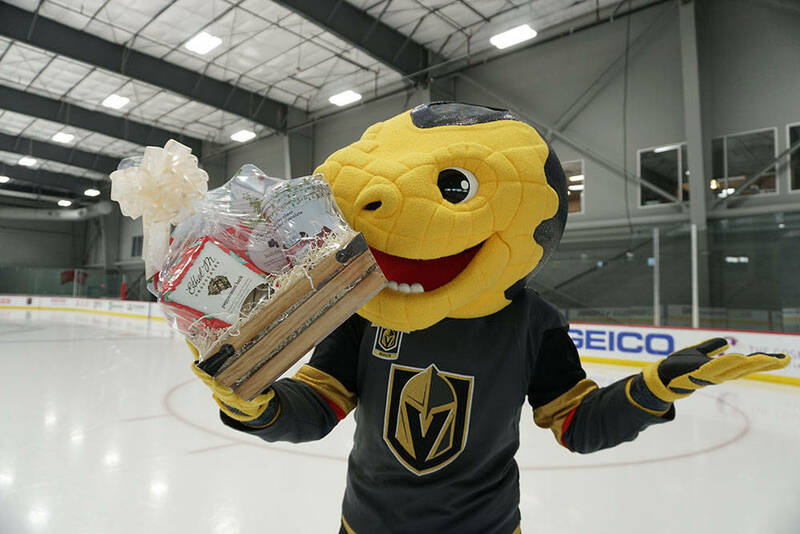 One dollar from every nacho will be given to the Vegas Golden Knights Foundation to support one of their five initiatives, to fight hunger and homelessness in the Las Vegas community. No stranger to the problem of food insecurity in the valley, Nacho Daddy founded the Nacho Average Fight Against Hunger (formerly the Buy A Meal, Give A Meal program) in which for every entrée purchased, proceeds are given back to organizations in the community fighting hunger. To date, Nacho Daddy has provided Three Square with funds to provide more than 300,000 meals in Southern Nevada. Nacho Daddy has three locations: Nacho Daddy at Miracle Mile Shops, 3663 S. Las Vegas Blvd. ; 9560 W. Sahara; and 113 N. 4th St. in downtown. For more information, visit nachodaddy.com. Connect with Nacho Daddy on social media by liking on Facebook or by following @NachoDaddyLV on Twitter and Instagram. Ethel M Chocolates, a subsidiary of Mars, Incorporated, and the only Southern Nevada-based premium confectionery company has announced it will be the official chocolate of the NHL’s Vegas Golden Knights. “We are honored to be the official chocolate of Southern Nevada’s first major league professional franchise, and to bring handmade chocolates to hockey fans from around North America,” said Oren Young, general manager of Ethel M Chocolates. Credit One Bank, the “Official Credit Card of NASCAR,” announced today the expansion of its sponsorship of Kyle Larson’s No. 42 team as part of its overall growth and brand strategy. Credit One Bank also recently announced its sponsorship of the newest NHL expansion team, the Vegas Golden Knights, and the upcoming grand opening of its new Las Vegas corporate headquarters. After a successful first season with Kyle Larson and the No. 42 team, Credit One Bank is expanding the relationship by becoming the primary sponsor for the 2018 season. The fresh paint scheme, featured on the new 2018 Chevrolet Camaro ZL1 race car, will debut in February during the 60th running of the Daytona 500. In addition to supporting Larson and the No. 42 team, Credit One Bank continues to expand its market presence by sponsoring Las Vegas’ first major sports franchise, the Vegas Golden Knights, during their inaugural 2017-2018 NHL season. Growth continues at Credit One Bank as the company opens its new 154,000-square-foot, state-of-the-art Las Vegas corporate headquarters in December. The contemporary campus will provide capacity for hundreds of new technical, analytical and marketing positions. The new location sits on 26 acres in southwest Las Vegas. Pilot Freight Services (Pilot), a worldwide provider of transportation and logistics services, announces the opening of a new 70,000-square-foot warehouse at 7015 Corporate Plaza Drive. Located near McCarran International Airport and the Las Vegas Strip, Pilot’s new warehouse can be used for long and short-term storage solutions for trade show, gaming and concert-related freight, ranging from elaborate booths to the massive stage and lighting systems to video display equipment. The warehouse is set to open on Jan. 20 and will add five new employees. The new facility has 32-foot ceilings, 20 dock doors and sophisticated climate control. A combination of brand-new construction and a roof made of Polar-Ply radiant barriers offer a unique pure aluminum foil sheet, which prevents 97 percent of summer radiant heat from entering the building, reducing temperatures by up to 50 degrees. This climate technology will sustain the entire warehouse at a constant temperature regardless of exterior temperatures. State-of-the-art security with round-the-clock motion, audio and camera sensors offer complete interior and exterior monitoring with live personnel. For more information, visit PilotDelivers.com.